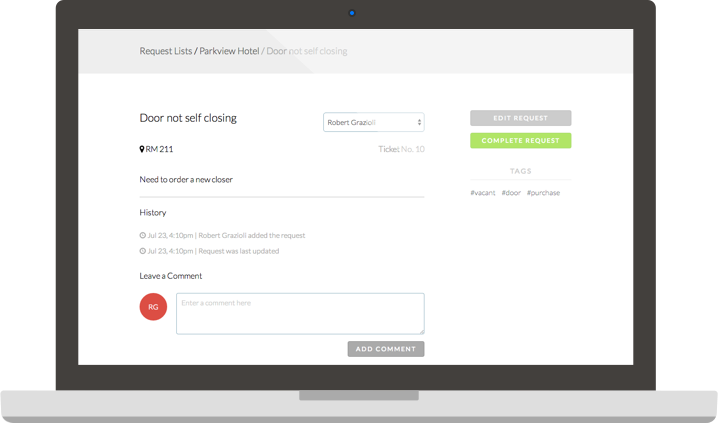 Easily manage customer and maintenance requests. 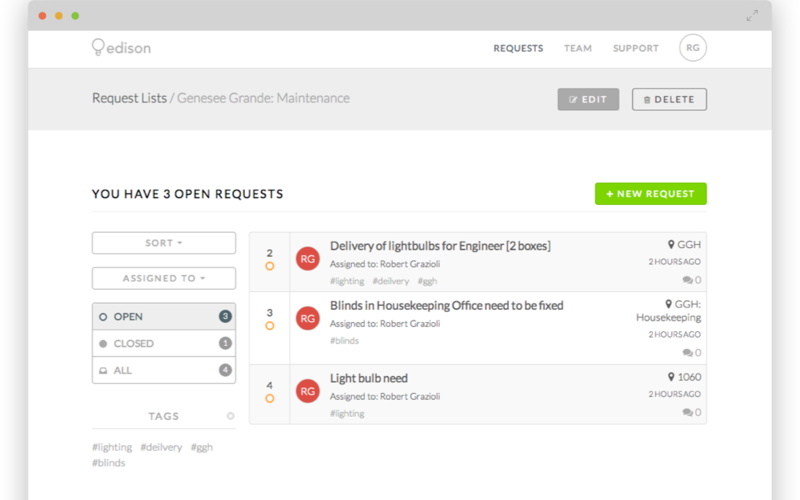 Streamline your operations with Edison's mobile Request System. 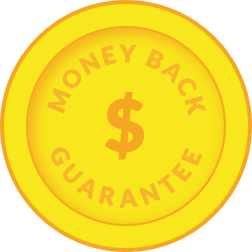 Start in just a few minutes for $75. Take your customers happiness with you. Managing phone and email requests is a headache. 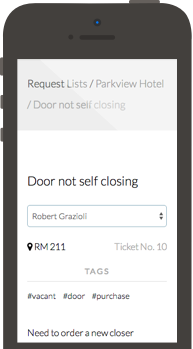 Rest assured, your customers are happy and your hotel is healthy with Edison's streamlined request system—available on iOS and Android devices. Oversee the status of your property from everywhere at once. View request updates or create and assign new requests from anywhere. 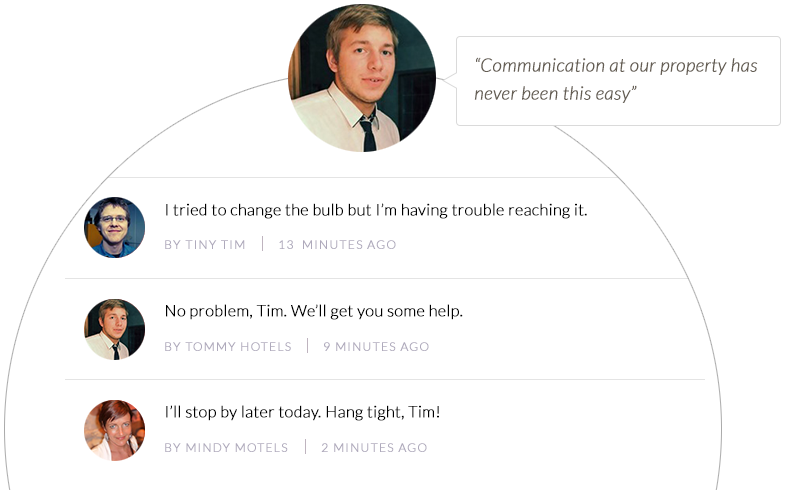 Discuss the progress of your request through an easy to use comment system. One price, all of the support. No contract - No hidden fees, just heightened insight.